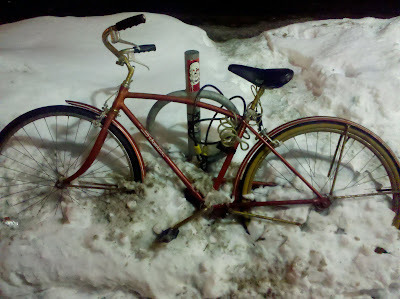 IBIKEMPLS.com - it's where I get all my news: Ride me! Made a stop off at the CC Club to visit a few acquaintances. Much too sad to see transportation devices like these rest idle, pending their demise. Current temps are -5F drybulb and -11F windchill; winter is hopefully just beginning!